Uses: Protactinium is little used outside of research. 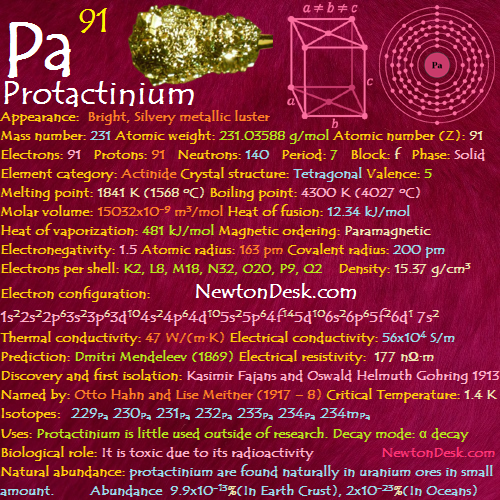 Natural abundance: protactinium are found naturally in uranium ores in small amount. It is also found in spent fuel rods from nuclear reactors, from which it is extracted.